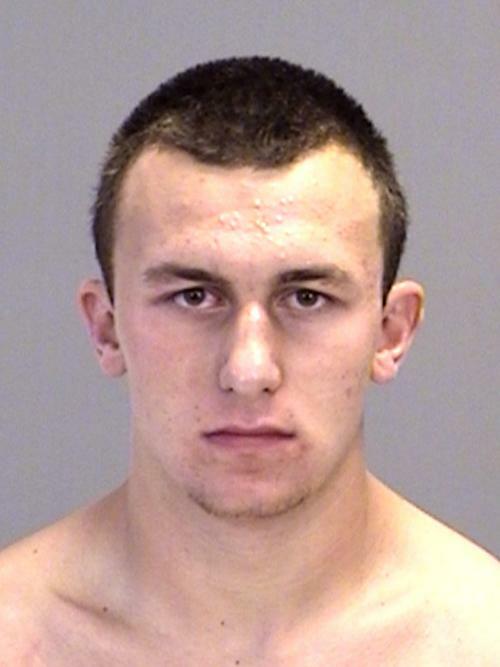 Texas A&M quarterback and Heisman trophy winner Johnny Manziel was arrested in June 2012 by Texas cops and charged with disorderly conduct, giving false information to law enforcement, and possession of a fake ID. According to College Station police, Manziel--also known as “Johnny Football”--allegedly shoved and punched a man who was fighting with a friend of his. When police arrived, the 20-year-old star player gave them a fake driver’s license. He was then arrested and booked into the Brazos County Jail where he posed for the above mug shot before posting bond on the three misdemeanor charges.